Sierraglow specialises in glass coating. This is our focus, that is, to protect your car paint from the ravages of superhot tropics of Malaysian weather and harsh environment and to create the car paint conditions that it will shine. No one does it better. Now with our exclusively Blue Flame Treatment, we provide even greater protection and a fantastic wet look shine. Blue Flame Calibrator throws supercharged silica. Blue Flame is the latest car detailing technology from Japan. Our Blue Flame Calibrator throws out supercharged nano particles of primer silicia. This heated silicia fills in the porous gaps and micro-crevices to make your paint so smooth that water sheeting is the result once the whole treatment process is over. Also, this supercharged and heated silica puts a thin layer on top of the clear coat so that our glass coating permanently binds and adheres to clear coat. This layer of silica also has the advantage of given the car shine the heavily desired “wet look.” An finally, the Blue Flame Treatment enhances the “water sheeting” effect. Yes, it is a flame on your delicate car paint, but don’t get the wrong idea. The nano particles of the silica are being supercharged in the Blue Flame, but the blue flame is not going to burn your car. If the flame stayed in the same place for 10 or 15 seconds…that is ONE SPOT, you would see a burn. But, as our Sifu Specialists know to keep the flame head moving so a two to three inch wave of silica is gently laid down on top of the car paint. Take a look of Blue Flame burning a hand….not an issue as the silica is only supercharged, not the hand (or paint). Catch a look at short video on water sheeting. We are located in USJ, Penang and Johor Bahru. We also have services available in Singapore. So, we are convenient for most Malaysians. 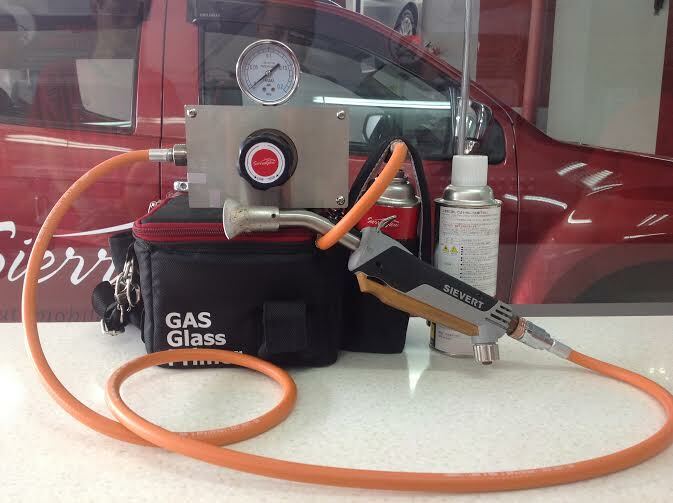 Our work on your car can’t be rushed, as each car needs to be properly prepared to receive our glass coating. Many shops shortcut this vital step, but not Sierraglow. On average your car will need about 4 – 5 hours at our shop. Most of the time spent on your car will be in the preparation of the car paint surface, so that it can receive the glass coating. We have many methods and polishes to bring out the best in your car paint surface. You may not know this, but this process of preparing the car paint surface is where Sierraglow excels. We have 6 different polishing compounds in our arsenal. We often use a mixture of these compounds to even bring out a richer shine. We are a unique company as we are the inventor and the manufacturer of the compounds and the glass coating. In fact, we are always improving our products so we can deliver the latest and best service to you. Our inventor, Mr. Sato, is diligently testing and retesting products to improve shine. Because we are the inventor and the manufacturer, we can provide you the best products at an incredibly low price as we have now wholesales or distributors. We are especially proud of our BLue Flame Treatment program. This is world class and offered exclusively by Sierraglow. Take advantage of this treatment as it gives your car the best paint protection available anywhere with the terrific deep, wet shine. Sierra Glow is always improving our products. Currently we are offering three distinct and exciting car coating packages: Advanced, Superior and Ultimate. These are beautifully explained in this video, and if you want to get a clear understanding of our product and services, we have produced this short 2.5 minute video Hope you enjoy it. Blue Flame Treatment by Sierra Glow is only a few years old. This is new as we have adapted older paint coating technology (Blue Flame) and added glass primer silica to our supercharged Blue Flame. We have produced short video to show you that the older Blue Flame is used by many companies who want their paint to shine. Take a look. Why so many hardness layers available? Why not put on the best and forget the other hardness? Why charge so much for each layer? To put on another layer is easy and shouldn’t be hundreds of ringgit or dollars? Hardly any labor or materials required. We have a pretty good idea why so many car coating companies offer and recommend multi-layers. First, they can charge the unsuspecting customer more by offering extra layers. And since they don’t have concentrated SiO2 (Silica), their coatings are weak and need extra layers to achieve a good result. Sierra Glow spends extra money and time to offer our customers SiO2 that is almost 100% pure (98.5%). While the heating technique to achieve this is expensive and time consuming, we can achieve the best shine and protection with our coating because of this one fact. There is a lot of buzz about Sierra Glow and Blue Flame Treatment. The unique method of using super-charged primer silica sprayed on to perfectly prepared car paint achieves fantastic results. The Wet Look is amazing, and the supercharged primer silica creates an incredible bond between the paint and the car coating. But, Sierra Glow went further. We created a car coating that has two unique features. First it is pure, 98.5% pure. This has set a new industrial standards as no other coating achieves this. Second, our formula is made to work with the Blue Flame treatment, thus creating a bond that is far superior than anyone else can achieve. This is why we give a 10 year warranty with our car coating, Luminosity. Learn about it with this video. Sierra Glow doesn’t like complicated. We don’t have a lot of fine print. In a one minute video, we can explain all the details of our car coating warranty. We can summarize it easily: No happy, bring you car back. We will fix it, FOC. Simple enough. We have no maintenance fees. We don’t demand coming back every 6 months. We don’t need you to use a special wash that we charge you for. We don’t ask questions about why you have a watermark…if you get one, bring it back and we will fix it for you. Your shine is a little dull…bring it back. Had an accident and your bumper had to be resprayed. Bring it back and we will car coat it again, FOC. Lots of people, especially our competition wonder how do we do this. Surely we will go broke, constantly repairing and touch up cars. Nope, we have very few return customers or problems. We have only a few a year that get a watermark. The most common return has nothing to do with us…our customer has an accident. But, we want to help, so we re-coat for free. Sierra Glow is all about having a great product that lasts and doesn’t degrade. If a problem arises, we want to help. This is what we call customer service. If you apply SG6 and have a 5 year warranty, we stand behind the warranty. Full Stop. If you have Blue Flame with Luminosity (SG 7), you have a 10 year warranty. Wow! Some times we have really fantastic cars coming into for Sierra Glow. Take a look at this baby…Wow! But the amazing thing is that we were able to get this hot car to really shine…a true mirror finish, “better than show room.” Just think about it, Sierra Glow can make your car paint shine in a way that is better than when you bought it. And, now the paint is protected from all the crazy elements like bird poo, water marks, tree sap…and the car shine better than a brand new wax …every time you simple wash it. Truly amazing. Take a look. Waxing and Polishing your car can cause long term damage to your clear coat. When the polishing involves buffers and pads, the clear coat takes a hit. If you continue to do this every 2 or 3 months, year after year, what do you think will happen to your clear coat. Once the clear coat is breached, damage to your paint. Take a look at this video for an explanation. If you aren’t happy with the shine or anything else …like you have some watermarks, bring the car back to us and we will take care of those watermarks. Had an accident, and had a panel or two resprayed…bring it back and we will redo those resprayed panels. Got some finger nail scratches or some black rubber streaks on the door…bring it back and we will redo those doors. How much you ask? It’s free of charge! Awesome!